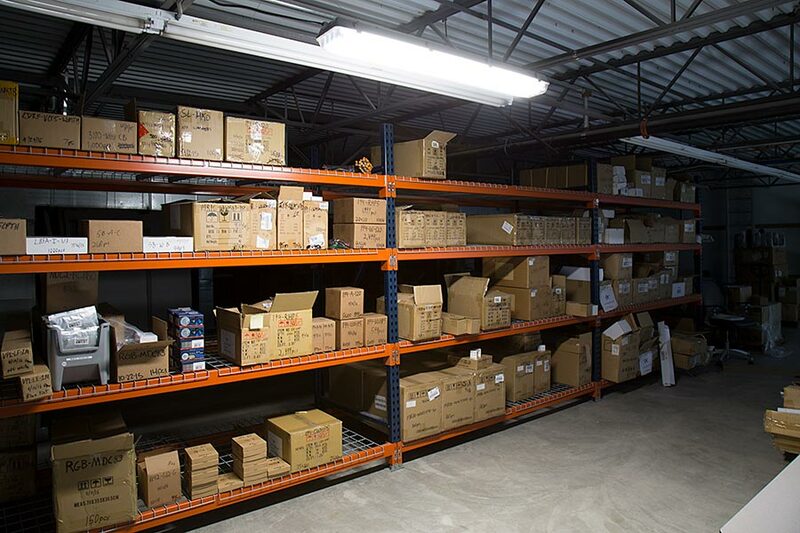 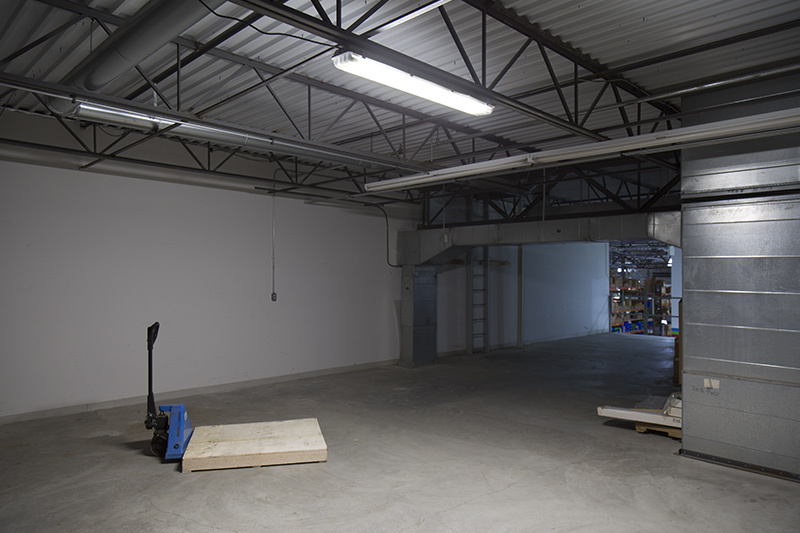 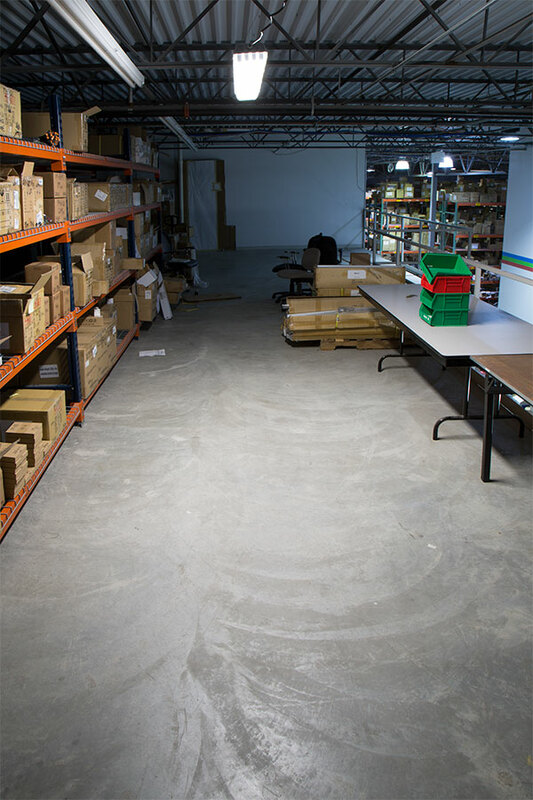 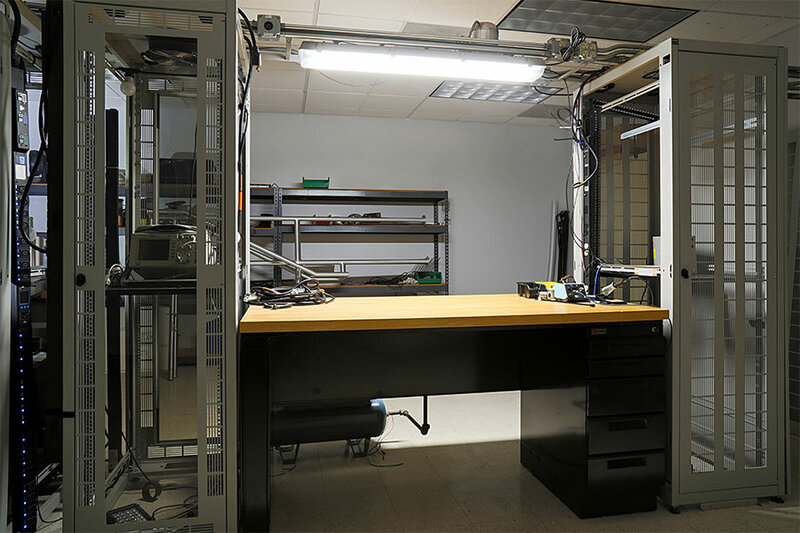 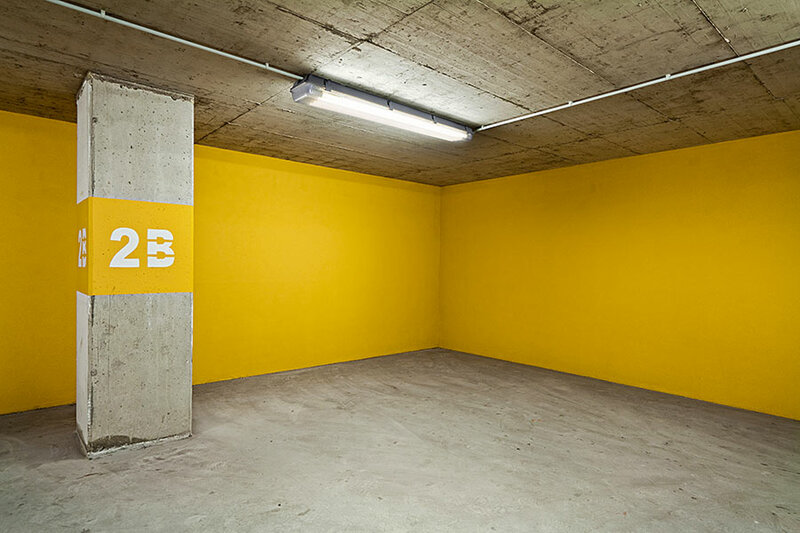 Industrial LED vapor-proof lights are the heavy-duty, super-bright alternative to traditional tube or strip light fixtures. 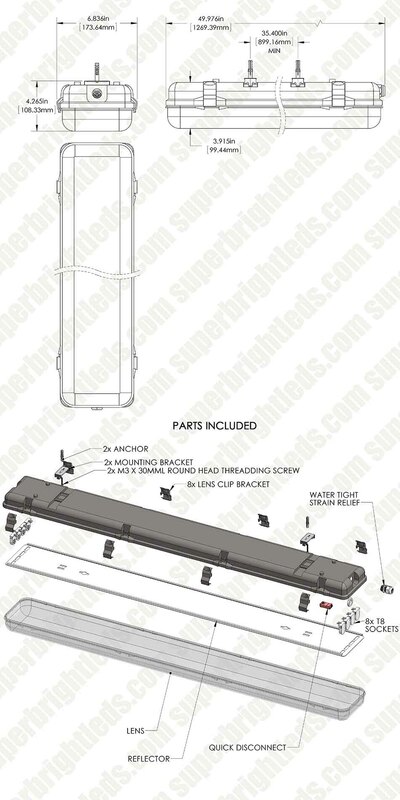 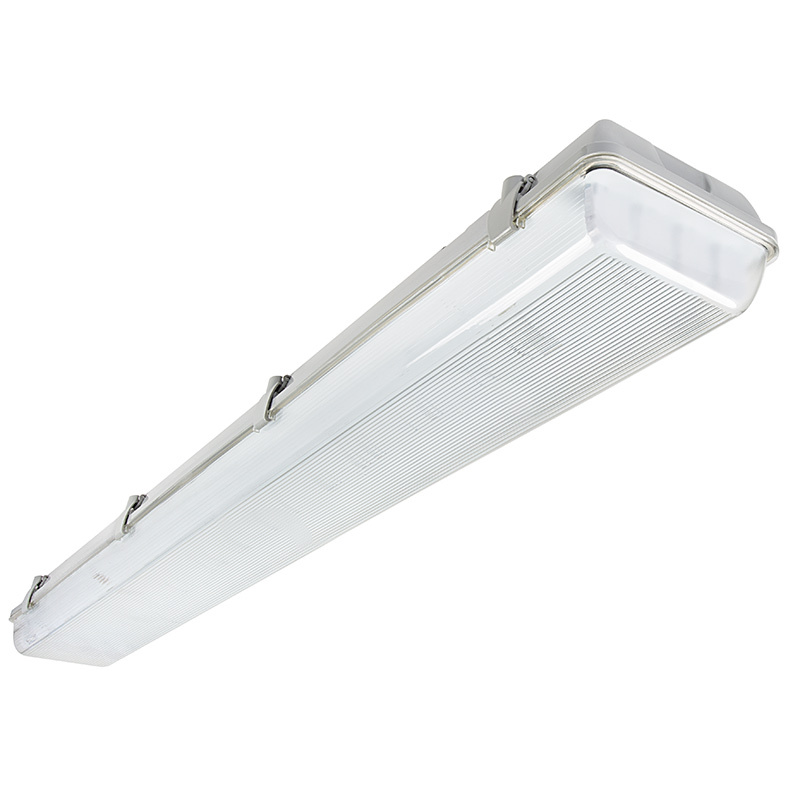 Perfect for harsh environments and dry or wet location applications, including industrial kitchen lighting, paint booth lighting, laundromat lighting, shop lights, gas station lights, car wash lighting, food processing plants, and more, this 4' low-bay LED light is designed to hold 4 T8 LED tube light bulbs (90 total watts max). 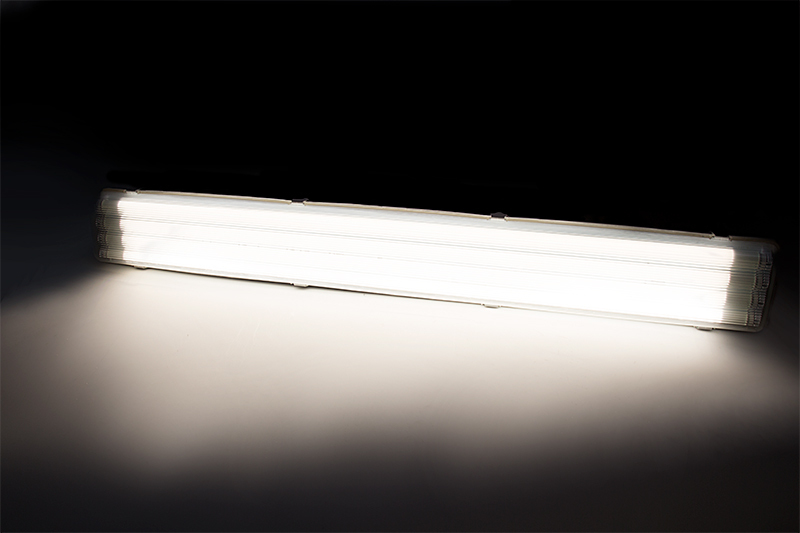 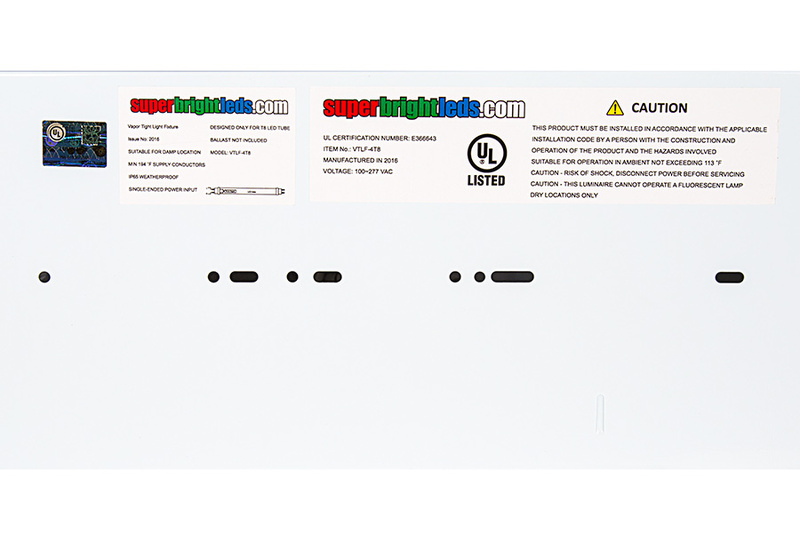 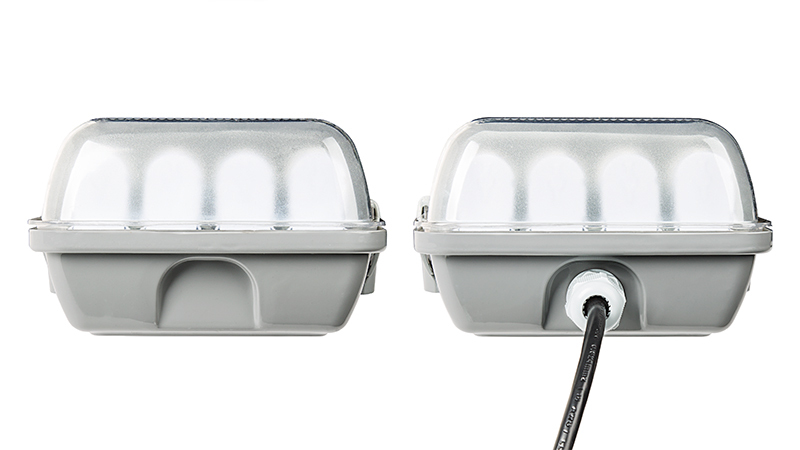 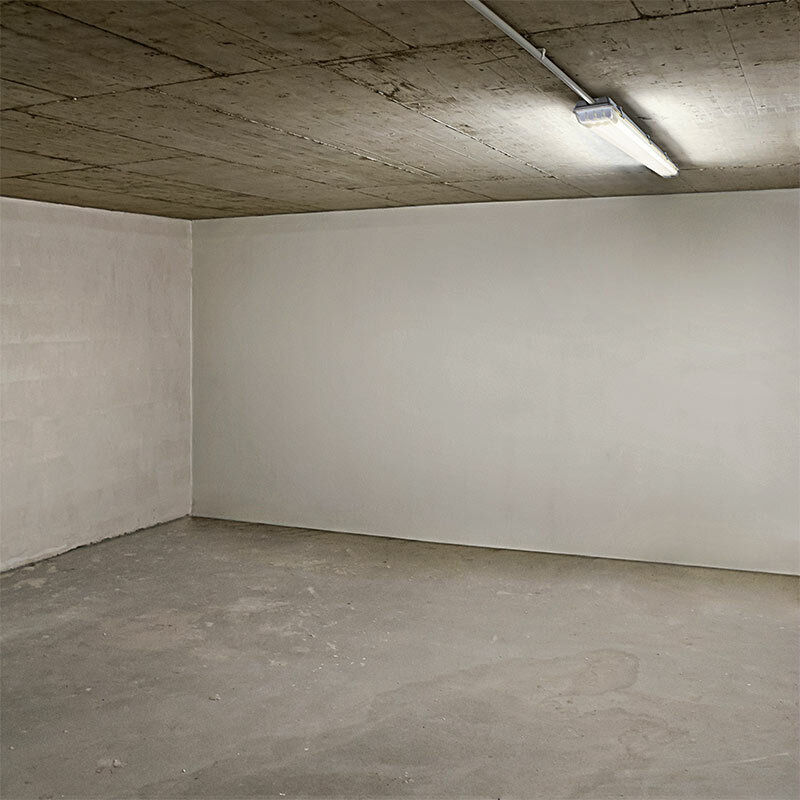 The IP65-rated LED vapor-proof light is UL Listed for wet locations and can be exposed to chemical vapors without risk of fire or combustion. 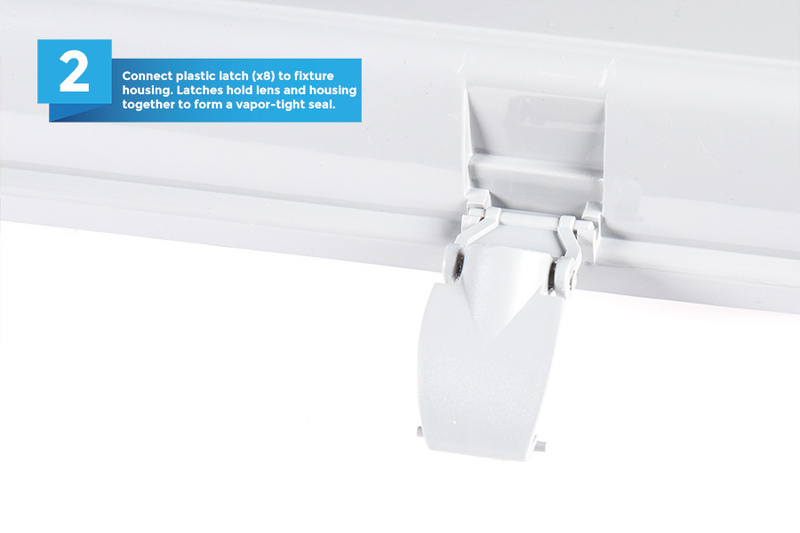 A weatherproof housing and polycarbonate lens are dust tight as well as water and impact resistant. 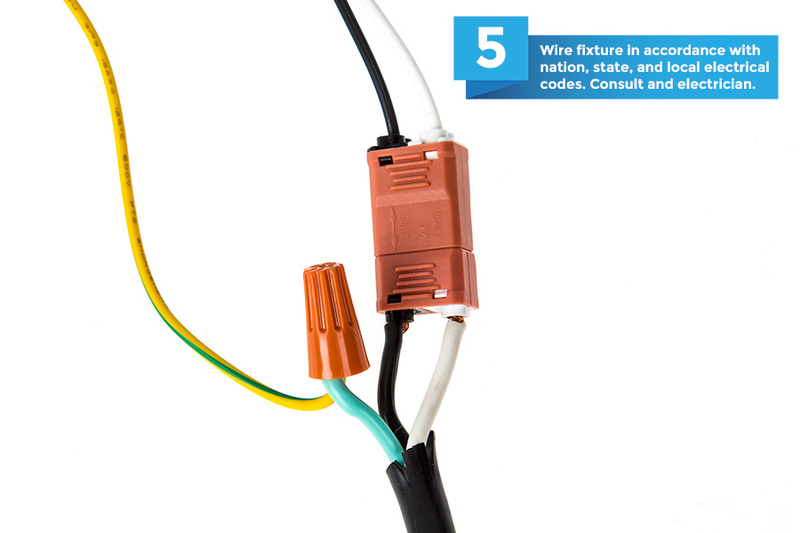 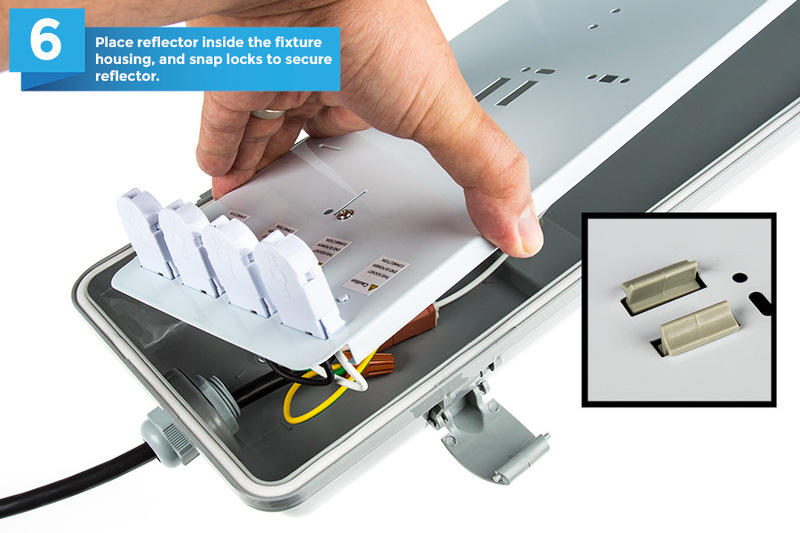 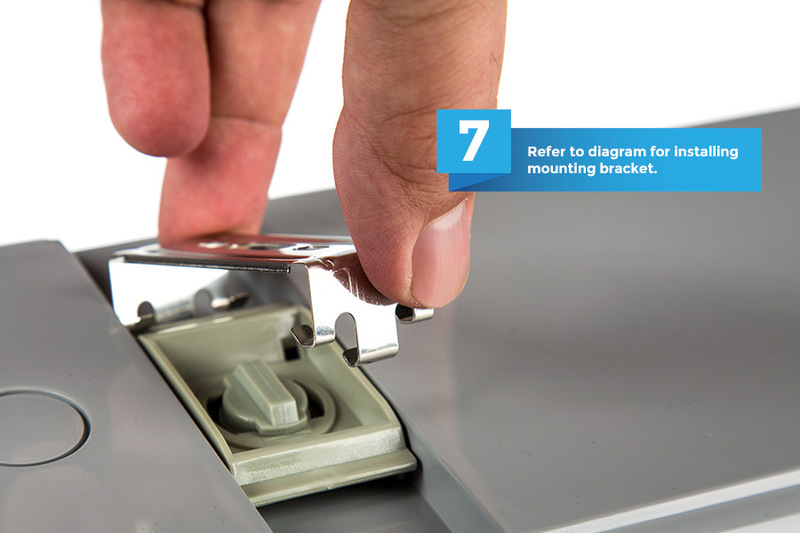 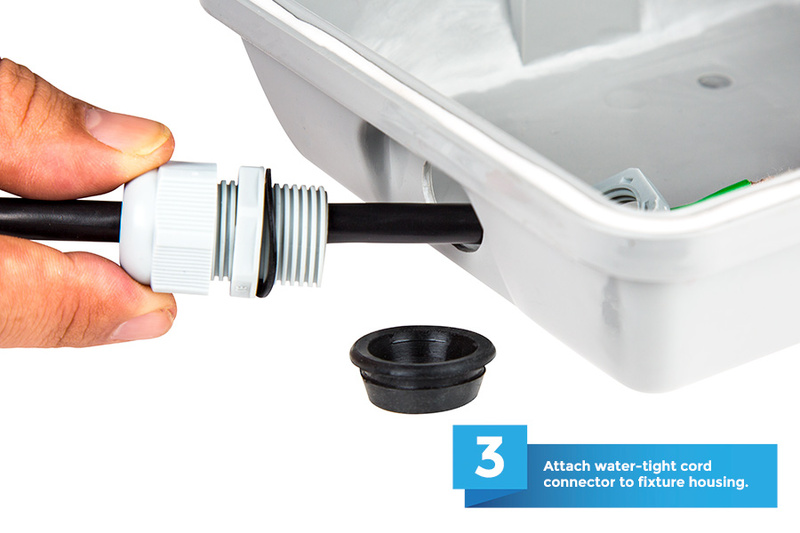 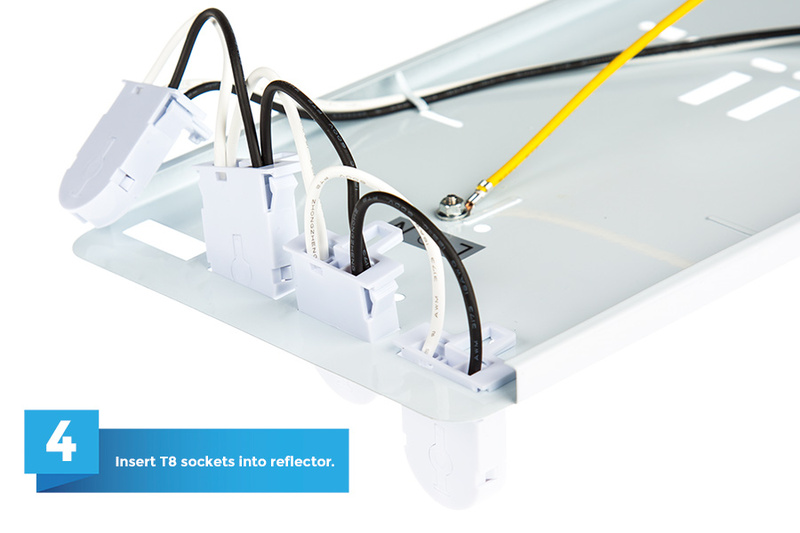 The light fixture comes with a water-tight cord connector, quick-connect wiring adapter, unshunted T8 sockets, housing clips, and surface-mount brackets. 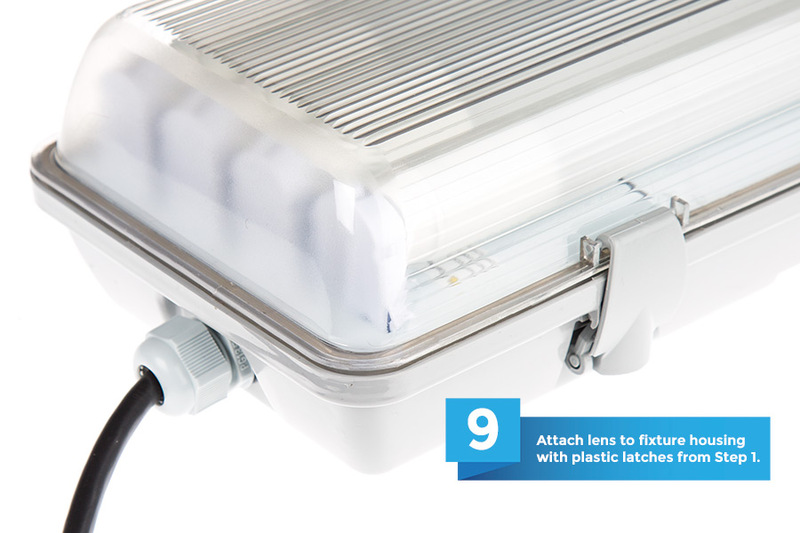 Operates within a wide 100-277 VAC range. 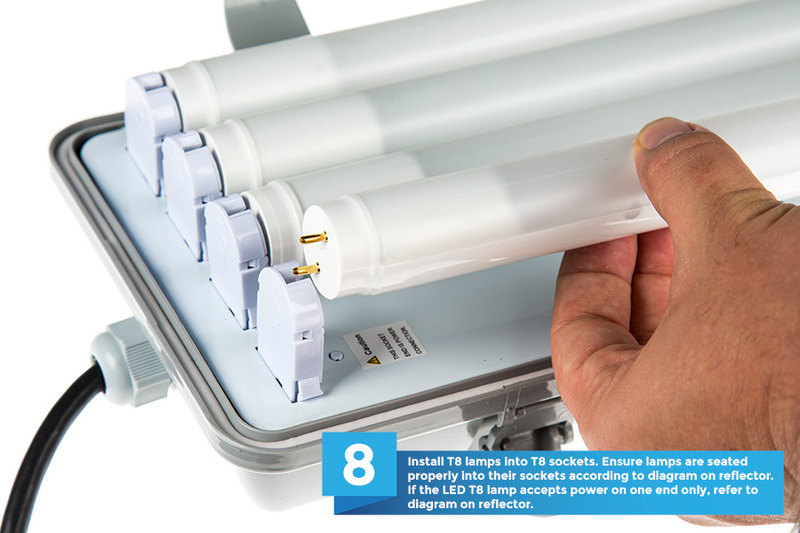 T8 tubes available in cool, natural, and warm white. 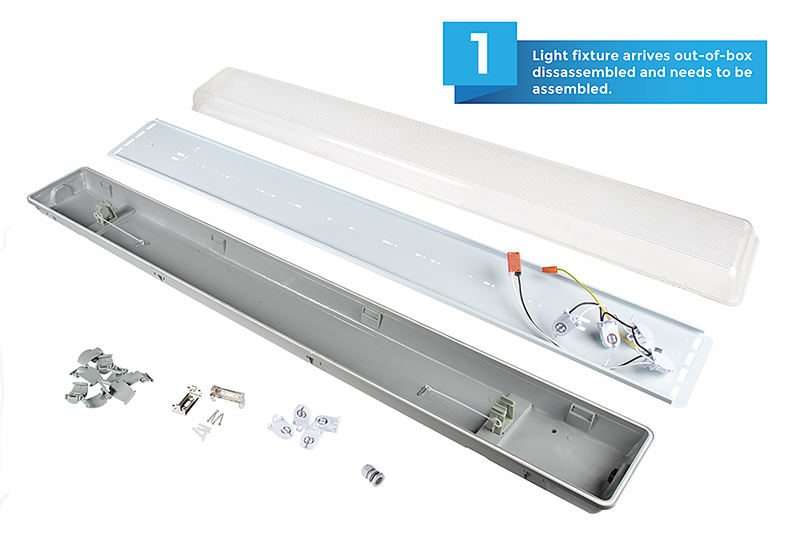 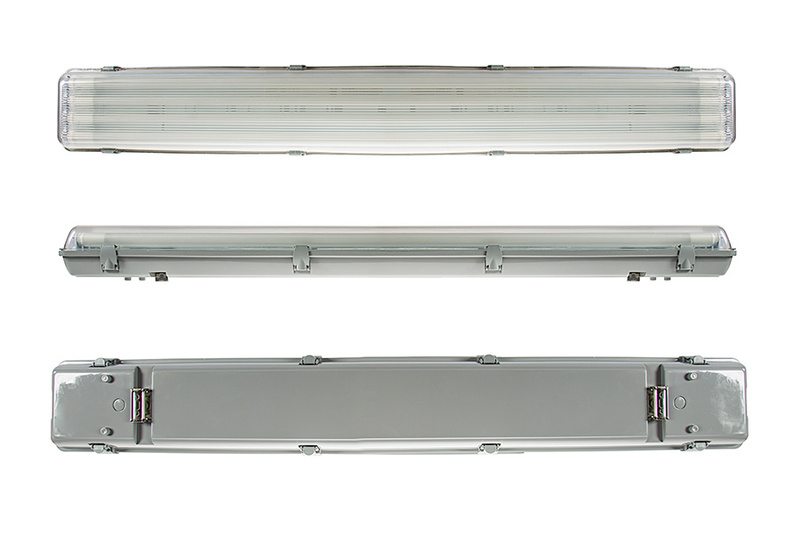 Fixture with T8 tubes included and fixture for 2 LED T8 tubes also available.